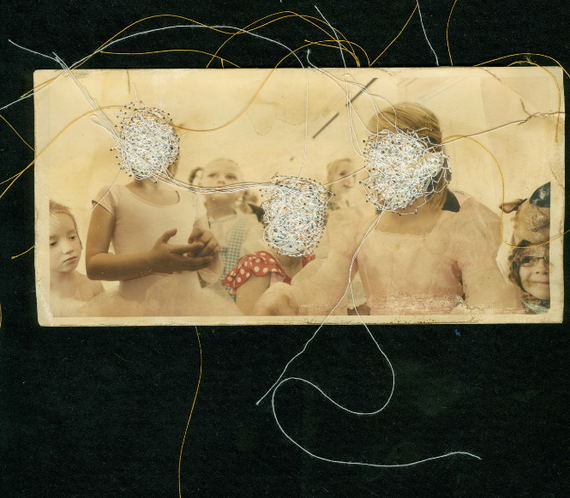 San Francisco based photographer Liz Steketee uses her life as material for her work. And that's smart, because the way I see it, the more personal the project or series that a photographer creates, the better it comes across to the viewing public. Steketee composites many of her images to create something new. She states, "through the use of montage, collage, and purposeful juxtaposition of images, it is my intention to present "the truth" of life." You now might be asking yourself: how can a composite be "truthful"? Isn't this what many people despise about photography -- the manipulation factor? Steketee goes on to explain, "I disrupt linear structures and confuse elements of time and space to convey my notion of how life truly exists; a combination of independent moments that converge to leave us with a unique experience." In her project, SEWN, Steketee examines how images of identity are a construct from a fusion of experiences. 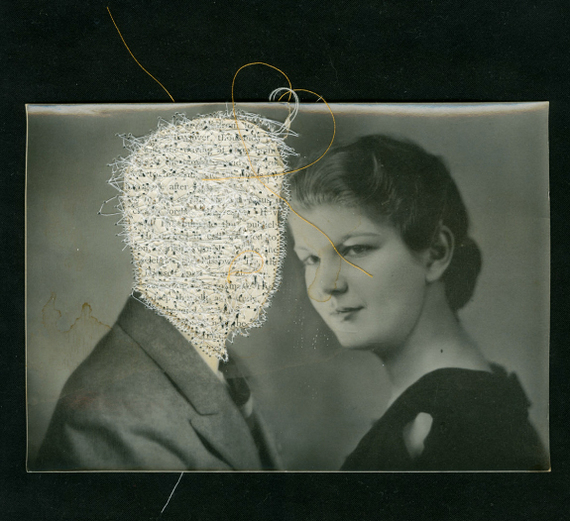 By using personal family photographs, she purposely blocks out sections of each image with thread turning them more into objects, creating a form of what she calls "emptiness". 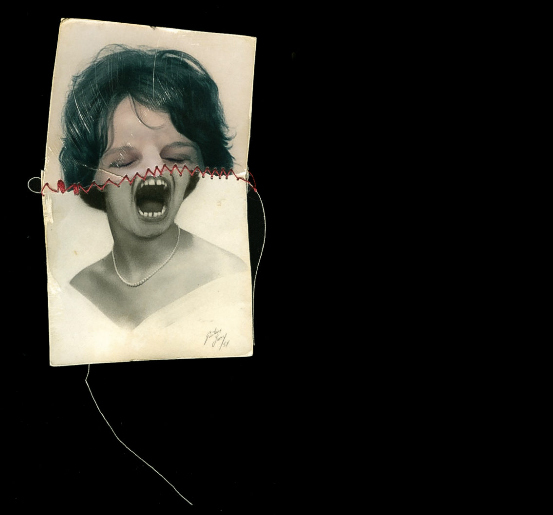 This emptiness is visible, or not so visible, but applied in her other series TRACES, which is the exact flip side of many of the images from her SEWN series. 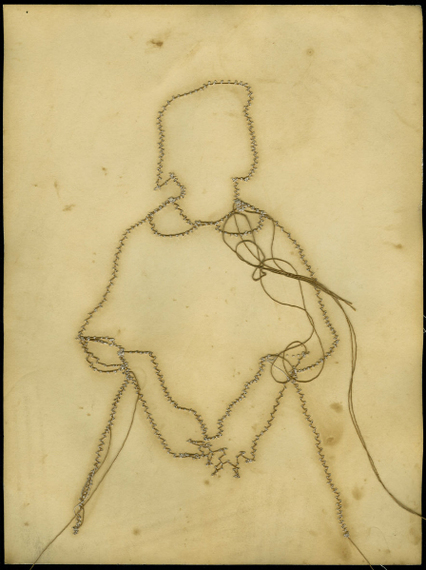 The stitching lays out a rigid pattern -- just a trace of the former image left behind. You get a sense of what the image on the photograph might have been, but are not exactly sure. It reminds me of the children's game connect-the-dots where you followed a sequence of numbers in a puzzle to create an image. As with Steketee's work, the final reveal is always a surprise.